Kulangsu (Gulangyu): UNESCO World Heritage site announcement coming this week! Kulangsu Island (Gulangyu Island), the small pedestrian-only tropical classical music island off the coast of Xiamen, China, is set to be named a UNESCO World Heritage Site this week at the 41st Session of the UNESCO World Heritage Committee in Krakow, Poland. See the official Kulangsu Island Visitor’s Guide here. 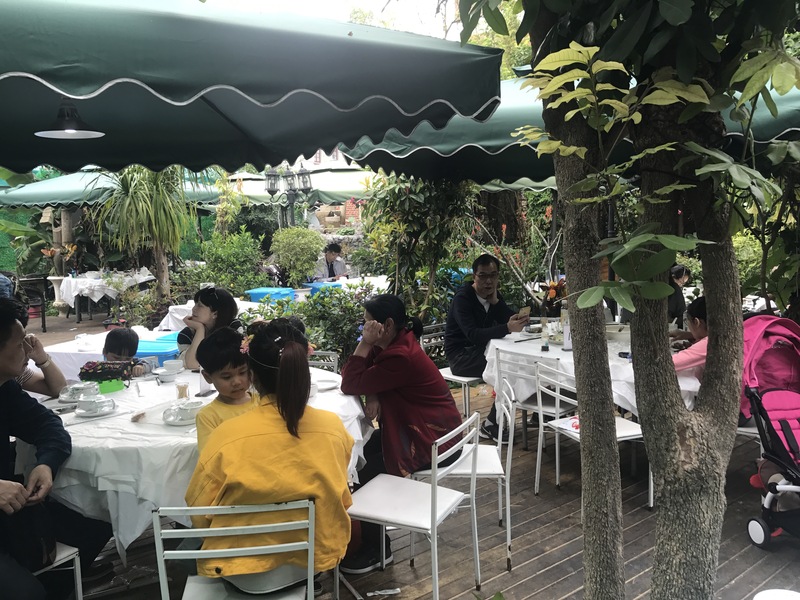 This indoor-outdoor café-bar in Jing’s childhood neighborhood had been around for more than eight years when we first stumbled across it. The shaded hipster garden is a work of outsider art. Hanging lanterns, spinning pinwheels, bric-a-brac, and eclectic music give the place a French-Corner-of-Kulangsu feel. Drinks are expensive, but there’s a full range of designer whiskies and Goose Island IPA. There’s cool vintage jewelry and home-made souvenirs at reasonable prices at the shop in the garden, where the young geniuses who run the establishment also live. For more Kulangsu travel ideas, see the new Kulangsu Island Visitor’s Guide. One of the most gracious properties on the island, overlooking gardens and the sea beyond, houses the Miryam, which is advertised as “boutique” but feels more like a grand dame clinging to the cliffs of Italy’s Amalfi Coast. The Continental feel extends to the furnishing of the clean, airy, well-lit rooms, some with claw-foot tubs. Ask for a room with a sea view—the generous private balconies and their bucolic vistas are worth the upcharge. Prices are above average for Kulangsu but reasonable given the views upscale feel. The restaurant’s availability and hours are unpredictable, so don’t plan around meals here. The staff runs a tight ship and can be curt to non-hotel guests (not allowing them to enter the upper balconies, lobbies, and other public areas of the hotel) , but the rewards of being a guest are considerable. For more Kulangsu (Gulangyu) travel ideas, see the new Kulangsu Island Visitor’s Guide. In New York, it was Milk & Honey. In Houston, it was Anvil. On Kulangsu, the next-generation cocktail culture has been shaped by a genuine, hard-working man named Gino, an island native who (in addition to being a star attacker for a semi-pro soccer team) has raised the local mixology bar forever. Gino is about as serious about his drinks as anyone on the planet, but the decor in his dim speakeasy-style haunt is playful, too–especially the upstairs, whose darts, bric-a-brac furniture, and wainscoting give the place the look of a 1970s rec room repurposed by Brooklyn hipsters. 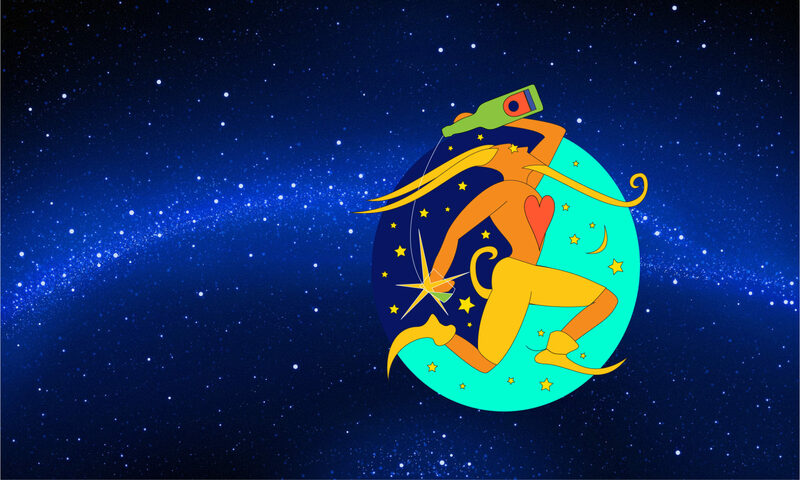 Thankfully, Gino’s no hipster–he’s a Kulangsu native, which is pretty much the opposite–but he does speak some English, and more importantly, he’s fluent in the international language of alcohol: just name your base spirit and leave the rest to the artist. Tricked-out cocktails aren’t cheap, but the labor and material costs are extraordinary, whether it’s dry ice, smoking wood shrubs, obscure spirits practically unavailable in China, or a Ramos Gin Fizz that needs to be shaken for a full five minutes. Gino’s thoughtful and futuristic glassings and glass-platings are as unpredictable as his late-night hours. 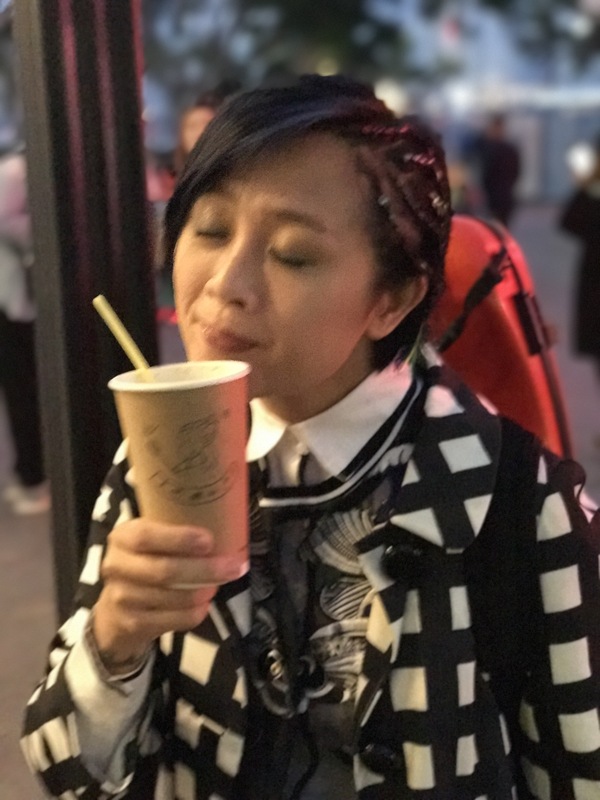 Come ready to be surprised, whether it’s by a perfectly spherical ice cube the size of a baseball or a steaming bowl of pork-bone broth just when you need it most. 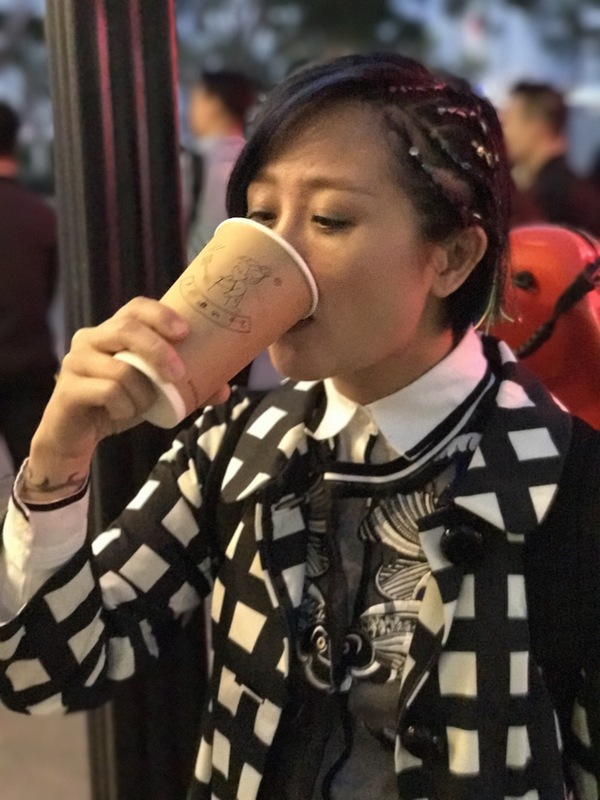 American hip hop and R&B greet you as you walk into this dark, eclectically decorated haunt, whose name means “scarf bar”–no relation to the Weibo that was China’s answer to Facebook before Tencent’s Wechat took over the entire Chinese ether. Weibo Bar features a periodic one-man live music show at the keyboard/mic station in the midst of things, but the real highlight of the interior is the movie screen, which plays comedies with their soundtracks pumped through the excellent sound system by day and serves as a visual accompaniment to the live and canned tunes by night. A set-menu lunch features Western dishes like steak. The cocktail selection is standard, but there’s unspoiled Chilean Cabernet Sauvignon on offer, and a Tiger beer tap is coming soon. In the meantime you’ll have to settle for bottled Tsingtao, Bud, or Heineken. Amongst the bar snacks, don’t miss the cucumbers with a wasabi-soy dipping sauce (芥末青瓜, jie mo qing gua), which will clear out your sinuses in short order, thus enabling you to stay until the bar’s 2am closing time before resting up for the next morning’s 9:30am opening time. This is one of the swankiest tables in town, with an original branch on Quanzhou Lu and an even more polished new branch on Fujian Lu. 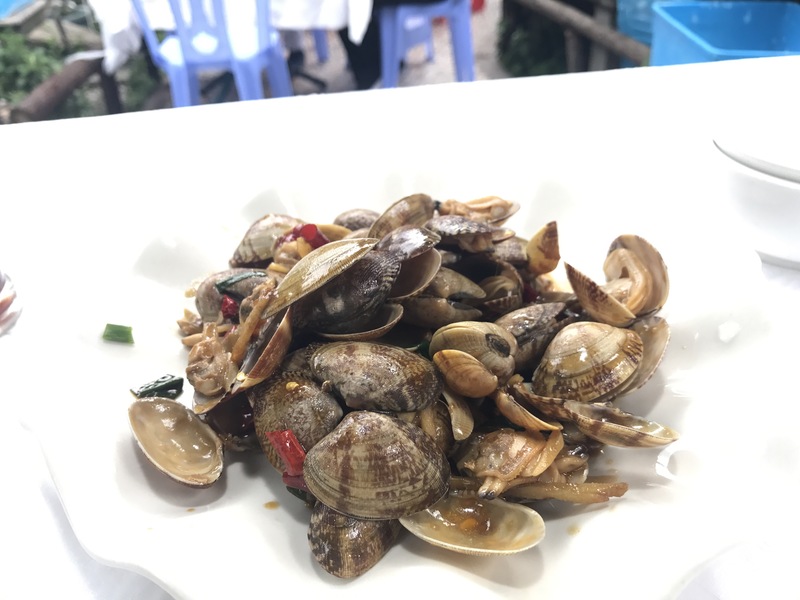 Picky About Food is highly selective in its ingredient sourcing, with reliable local and international seafood swimming in well-tended tanks and an elevated level of service that seems almost stuffy by Kulangsu standards. Beneath precisely positioned Edison bulbs, you’ll dine at sleek wooden tables and wooden chopsticks and spoons. 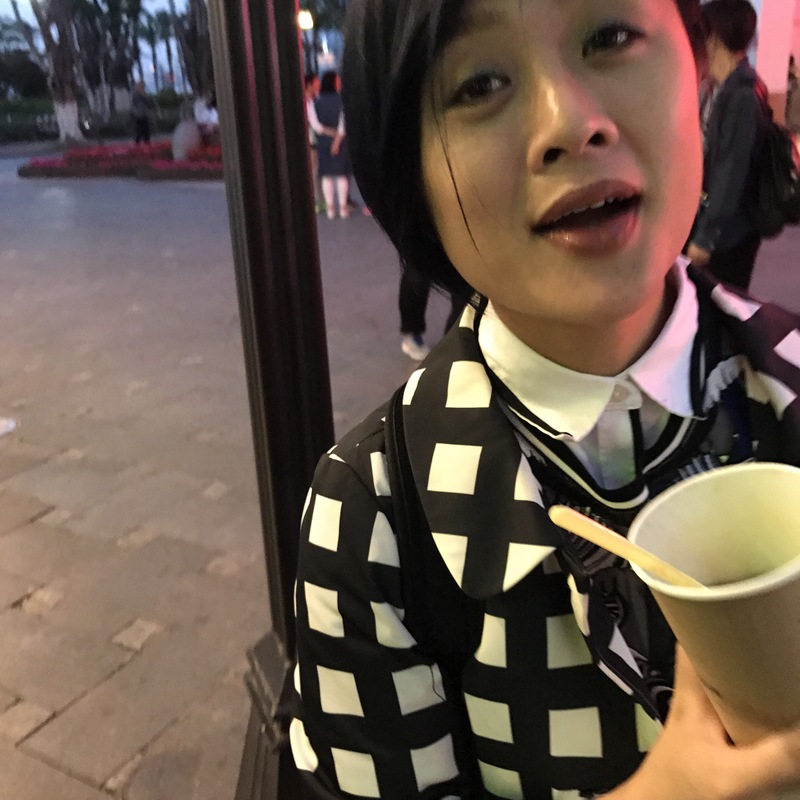 A pleasant way to start is gan bei zhu sun tang （干杯玉笋汤), a gentle clear soup of minuscule dried scallops, veiled lady mushroom (a translucent white and irresistibly spongy bamboo fungus whose suggestive species name is Phallus indusiatus), and tofu. 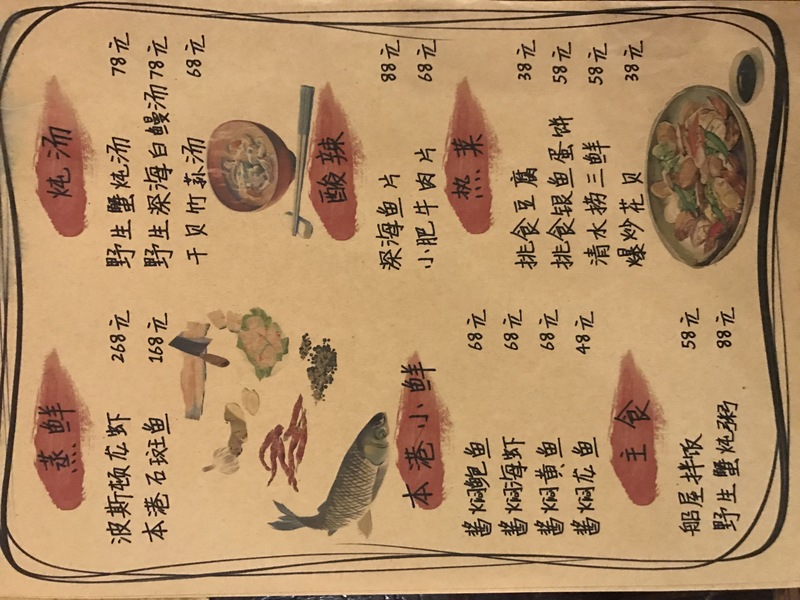 One of the house specialities is dubbed “Boston lobster” (bo si tun long xia，波士顿龙虾), which comes steamed with glass noodles, garlic, oil, and spring onions. 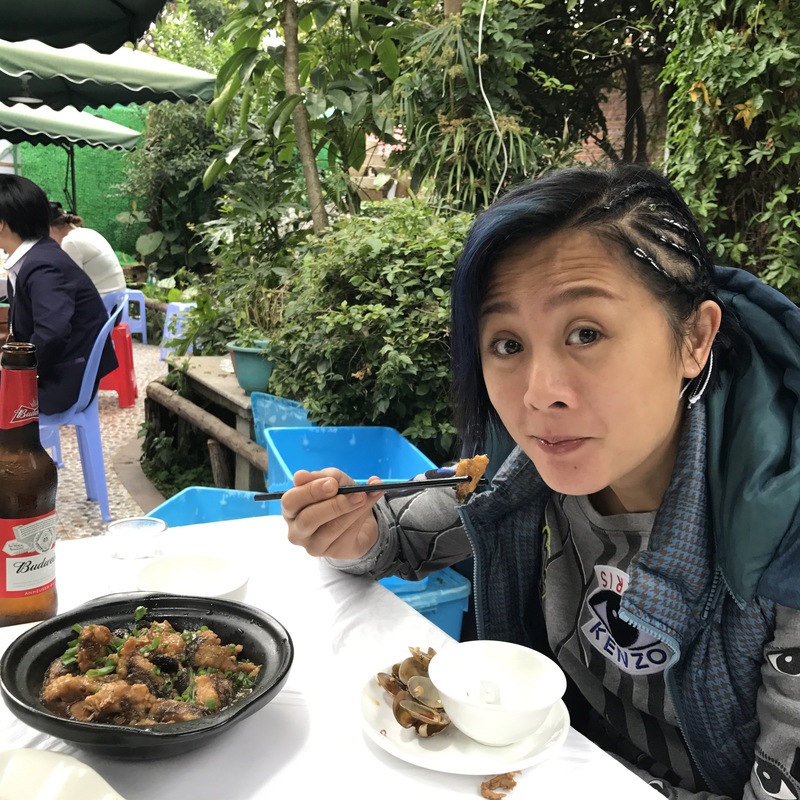 This prep is more in the Kulangsu street-food style than anything you might find in Massachusetts, but it’s fresh, flavorful, and juicy, unlike some of the tough, overcooked lobster you might be deceived into buying from the hawkers on Longtou Lu. When it comes to lobster on Kulangsu, you get what you pay for. If you once enjoyed the Chinese-American dish known as “egg foo young” back when it was a standard at U.S. Chinese restaurants in the 1980s, as I did, then tiao shi dou fu （ 天使豆腐), fried egg custard cubes in a light brown sauce, will take you back. On the other hand, the taste, texture, and name of this dish might also fool you into thinking you’re eating tofu. It’s adorned with tomatoes and thinly julienned red peppers. Other local specialties include fen shen yu mi bang（分针玉米棒）：long, full-bellied “corn clams” steamed with garlic glass noodles. 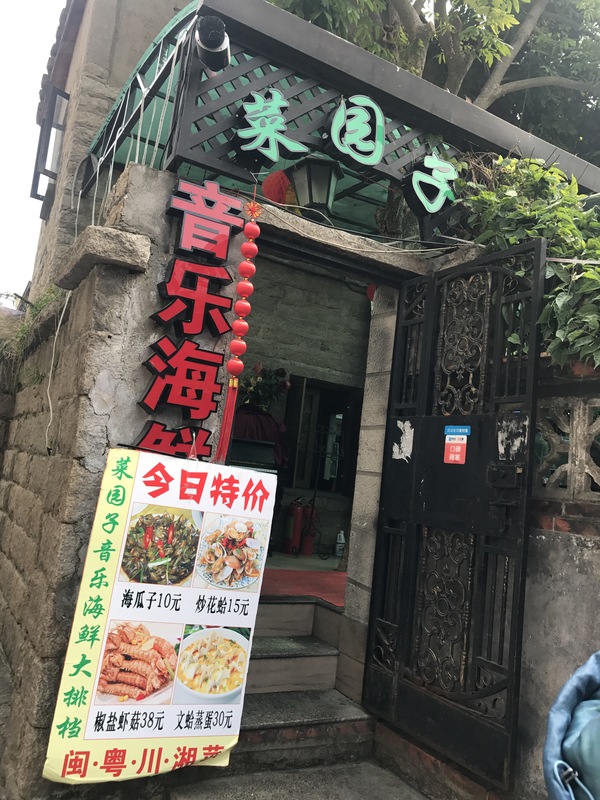 Skip the marked-up staples like Chinese lettuce, which comes out too oily; likewise, Xiamen fried noodles with shrimp, egg, and spring onions are no better here than they would be at any corner food shop. Instead, make a date night of it, splurge a bit, and challenge this able kitchen. Red turrets cap this giant hotel, which is strategically situated near to the entrances to Sunlight Rock and the Piano Museum. Facilities are fancy, as the property is tailored to special groups and official visitors. Marine Garden is a sprawling landmark on the island’s southern shore, visible in every aerial shot of Kulangsu. The large fine-dining restaurant sports luxury delicacies prepared with skill and care. 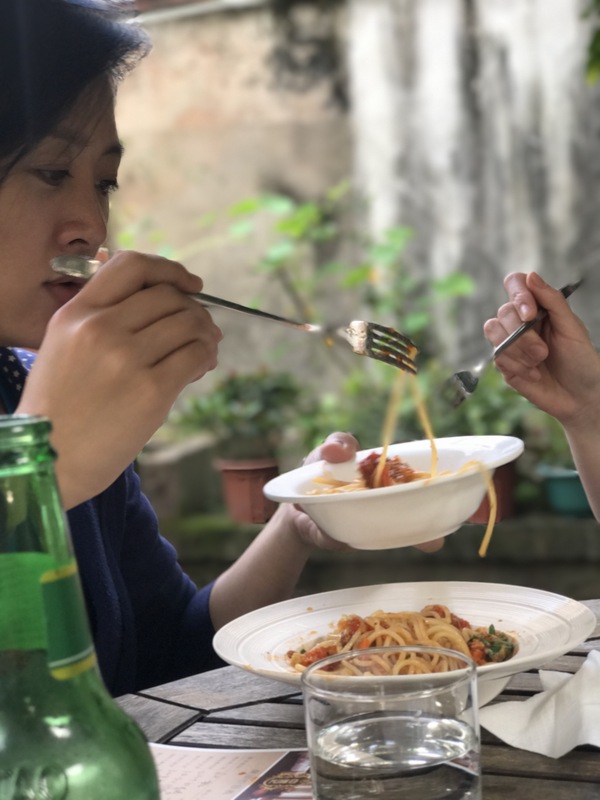 A new buffet lures in non-hotel guests by offering a taste of this quality food—an unlimited selection of a wide variety of dishes—for just 68 元/person, a bargain. They say that back in the day, every house on Kulangsu had a piano. This touristy but impressive garden across the street from the tea house is holding up the tradition–barely–with an out-of-tune upright that sits just inside the entrance. Otherwise, the restaurant’s name is a tease: there’s no live music here, except for the occasional round of Lightly Row played by a six-year-old. 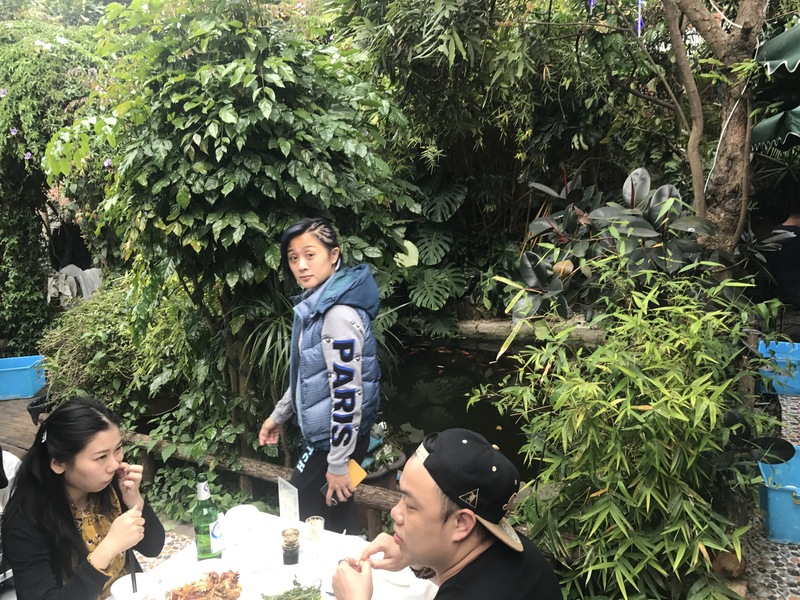 There is, however, a lush, expansive garden with a koi pond that elevates lunch here on a pleasant day into a zen-like experience, in spite of the screaming toddlers and inattentive waitstaff. When ordering, use restraint. 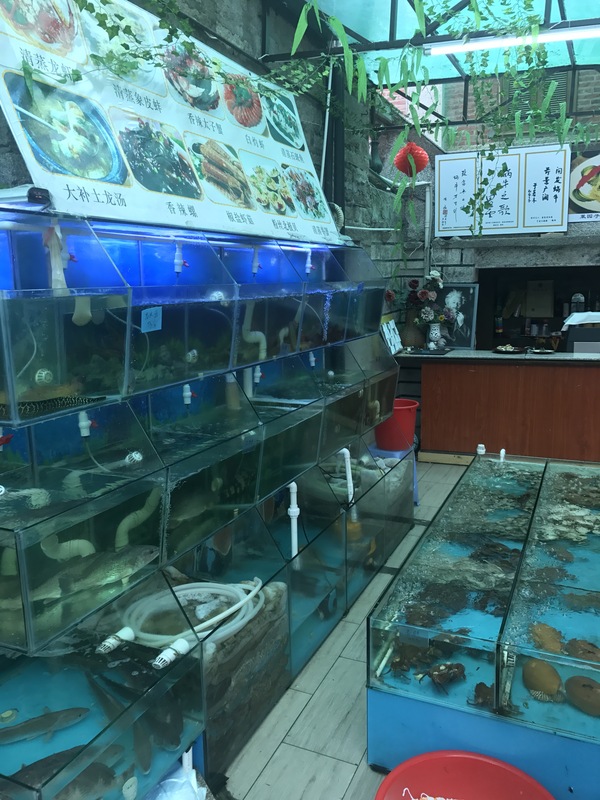 This is not the place to try top-end seafood, but the kitchen does a fair job of preparing and pricing Xiamen standards like spicy wok-fired clams (la chao hua ge 辣炒花蛤), which swim in a typical local brown gravy with rice wine, garlic warmth, and chili heat; or Chinese national dishes like sliced pork with green peppers and wood-ear mushrooms (qing jiao rou si 青椒肉丝). 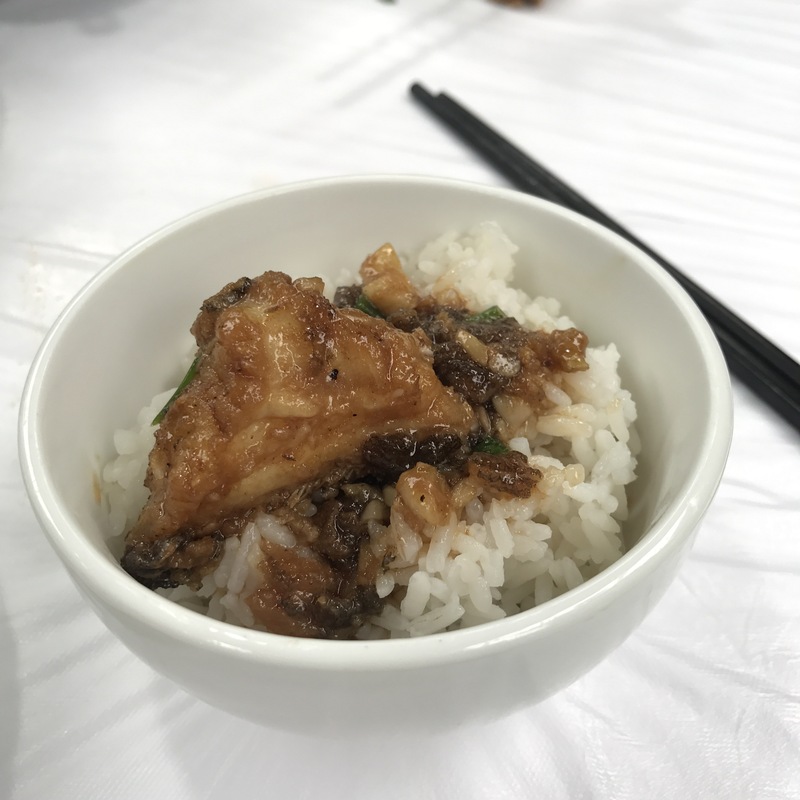 This dish, popular in Shanghai as a rice-bowl topping, has some back heat and metallic tang from the peppers and unsurprisingly dumps well onto steamed white rice. The wood-ears are the house addition, adding a spongy crunch. Worth missing is a relatively oily and undercooked version of shredded potato with red chili (酸辣土豆丝), China’s answer to hash browns. This dish is light and addictive when done right; try it elsewhere instead. 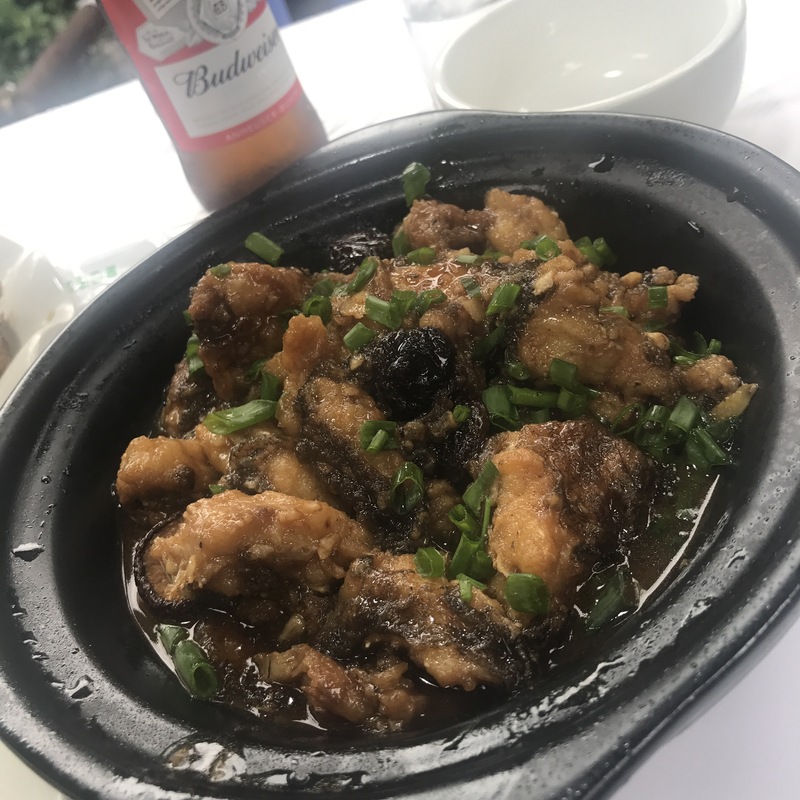 Tu long bao (土龙煲), a local species of eel without any English culinary name or paper trail, sounds promising: the Chinese name translates roughly as “dragon from the local land,” and it’s a Minnan delicacy prepared in a clay-pot casserole. Unfortunately, the reason it’s a delicacy is medicinal: tu long bao is believed to promote bone health. 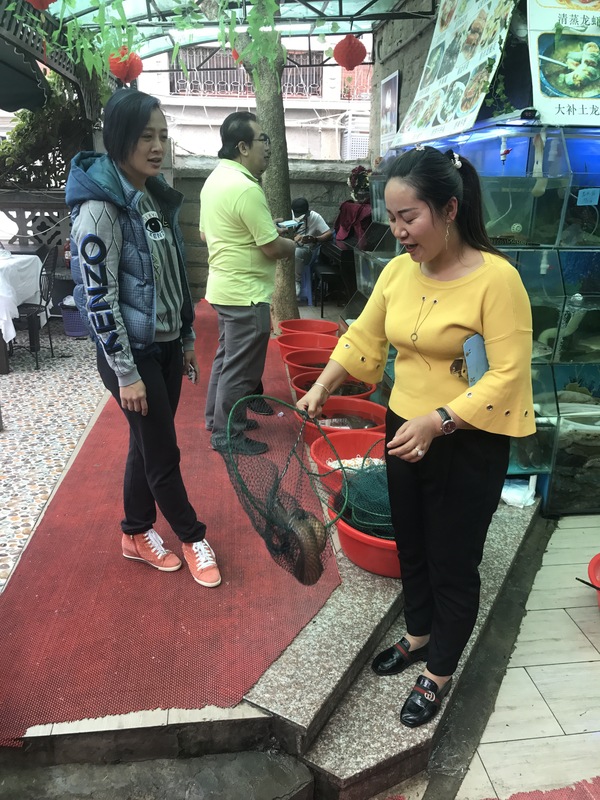 For this reason, a medium-sized eel costs more than ¥200, and possibly also for this reason, it has so many little bones in every bite that you may burn as many calories spitting them out as you ingest from the sticky flesh beneath. To complicate things further, the delicate clay-pot slow-cooking process is abbreviated, keeping mushrooms leathery. The dark, savory sauce is still delicious on rice, but that’s one expensive rice bowl. 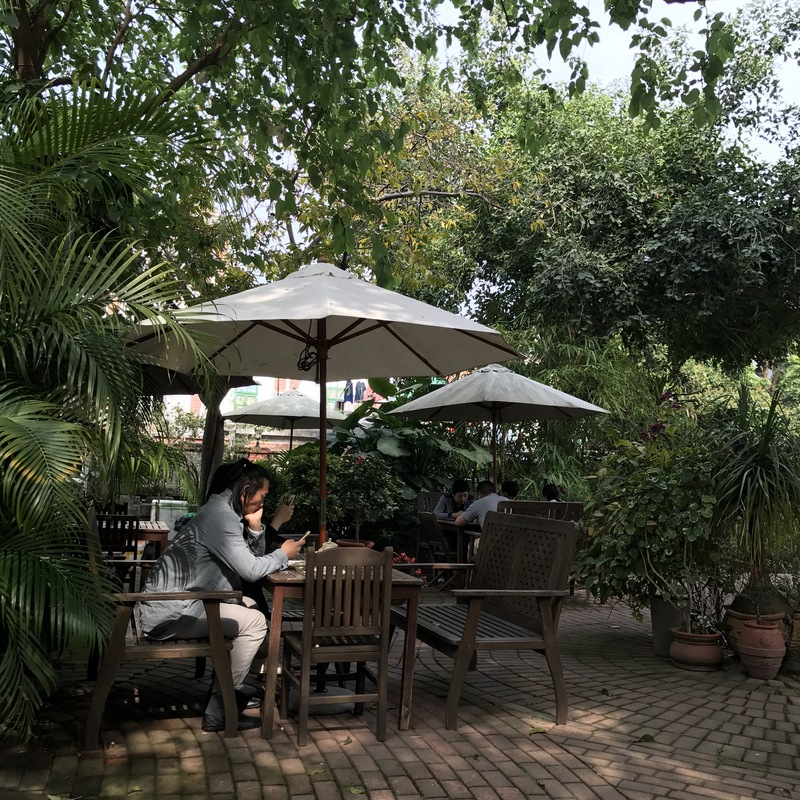 This well-known romantic garden café on one of Kulangsu’s main tourist drags is one more piece of proof that you’re in paradise. 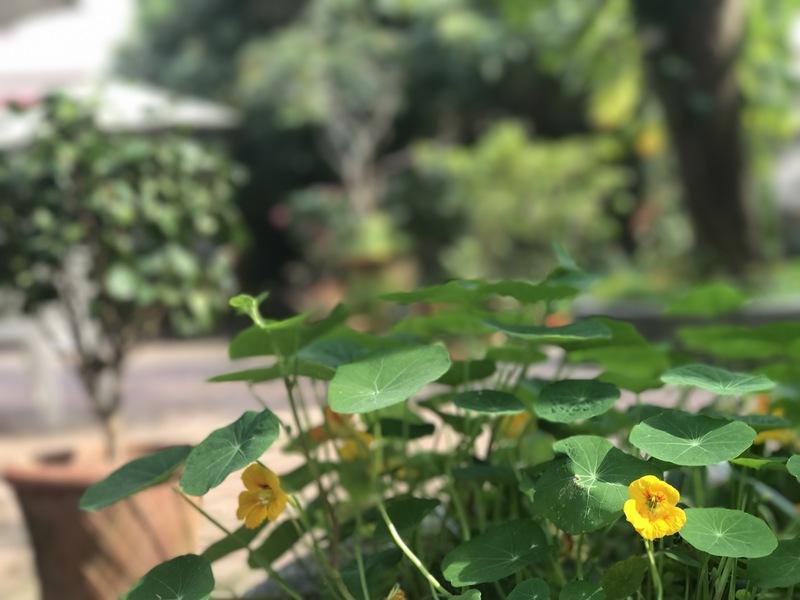 Leaves blow in the sunny breeze, flowers bloom, and birds serenade you with a symphony while you sit at wooden tables under umbrellas in the shade of an old brick mansion. It’s an alluring respite for weary feet and jack of all trades for passers-by. You can spend many minutes wandering around the garden and exploring its nooks and crannies, gracious lawn furniture, shaded picnic tables, fountains, statutes, and friendly cats. Inside is a series of refashioned dining rooms, which were once living rooms and bedrooms of the old mansion. 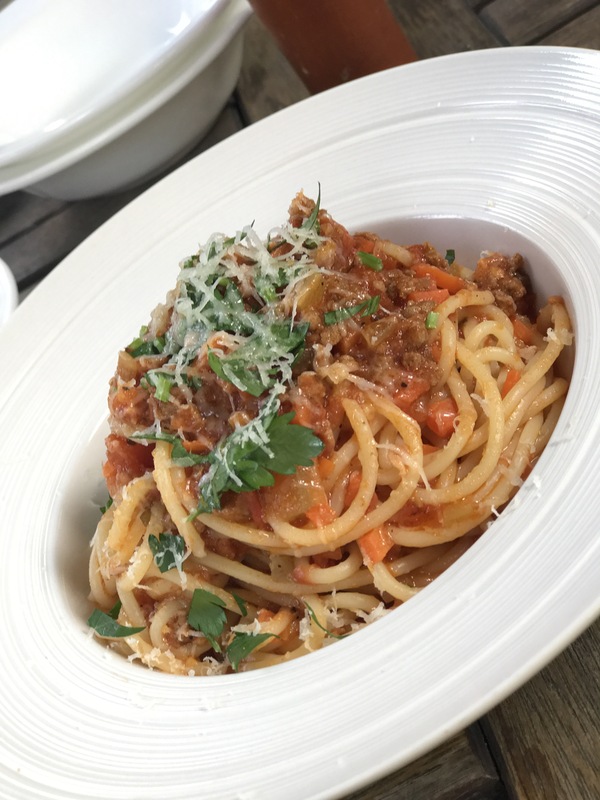 Once seated in the garden, you can sip coffee or tea or dig into satisfactory versions of basic pan-Eurasian standards like beef filet with black pepper gravy, Thai yellow curry beef or chicken, and spaghetti bolognese (65 ¥), which comes under-salted but otherwise correctly prepared—with a good dose of extra parmesan, it really hits the spot. Beef-and-cheese pie is this kitchen’s version of an English pasty, with peppery, mincemeat-like ground beef and melted mozzarella baked into a greasy but still enjoyable pastry crust. It’s served with a petite raw lettuce and tomato salad–an oddity in these parts–dressed in a creamy, slightly sweet whipped-mayo-vinaigrette and tomatoes fresh with garden foliage aromas. The sweet mayo from that vinaigrette rears its big head again and nearly ruins, but doesn’t quite ruin, a competently pressed panino with tuna fish, basil, and pine nuts that evokes Wolfgang Puck’s late foray into airport quick-service. The beef filet is fresh, thick, satisfying, and expensive ( 178 ¥) with none of the off-flavors you sometimes get from frozen Australian steaks. The meat pairs well with the Chinese-style black pepper sauce, whose mushrooms invoke a German jaeger sauce, but the steak would be even more flavorful if it were salted and peppered before searing, as normal Western technique demands. 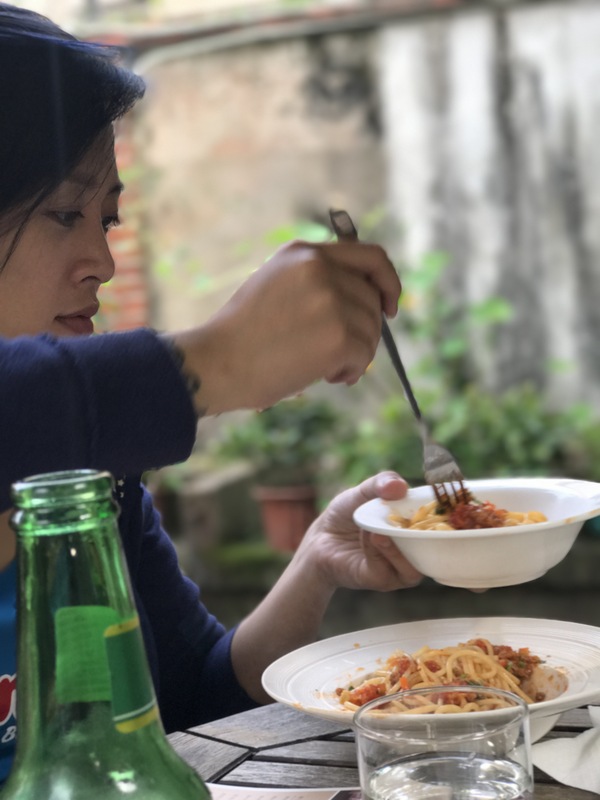 The menu is translated into excellent English, and lists a full range of other off-dry treatments for homesick westerners, like corn chowder with bacon, tiramisu, and “heavy cream blueberry cheesecake,” which is the precise consistency of Babybel cheese, i.e. slightly gummy and unnaturally melty, but not in a bad way. It’s set on a rich, delicate crust that’s just thin enough and drizzled with chocolate syrup and blueberry sauce. 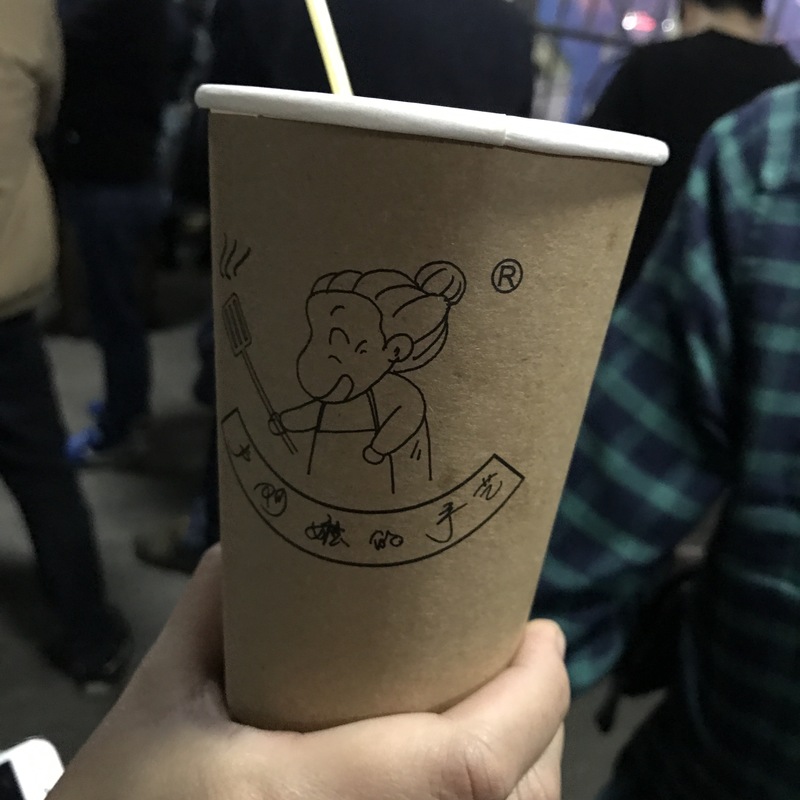 Most people come just for sweet coffee drinks or juices, whose value proposition is far less clear, especially once alcohol comes into the mix. 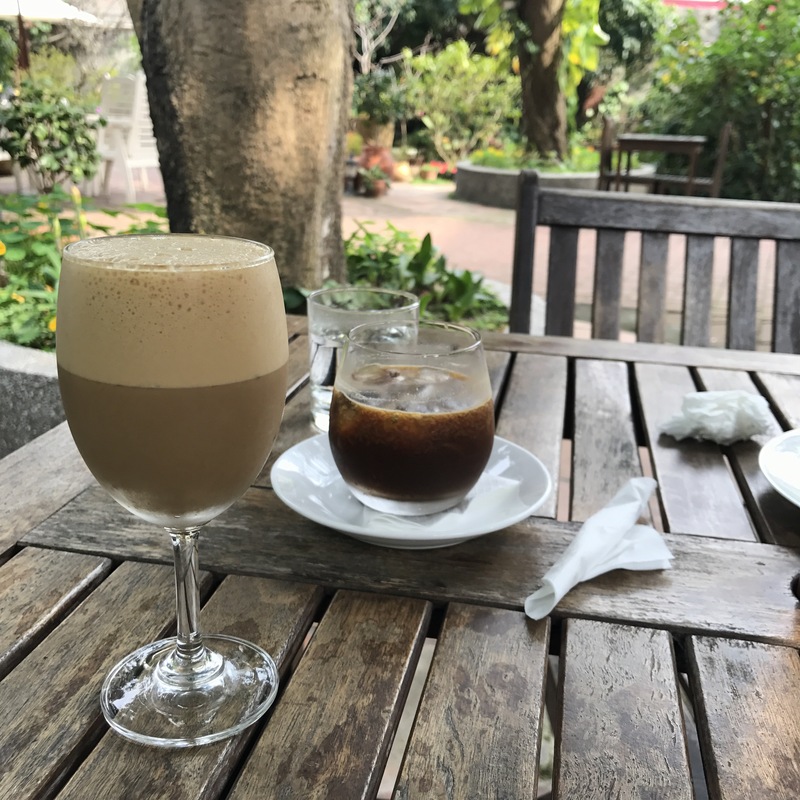 Espresso drinks are generally very small; a 40 ¥ iced coffee shaken with Bailey’s comes in a small white wine glass and is easily finished in two gulps. 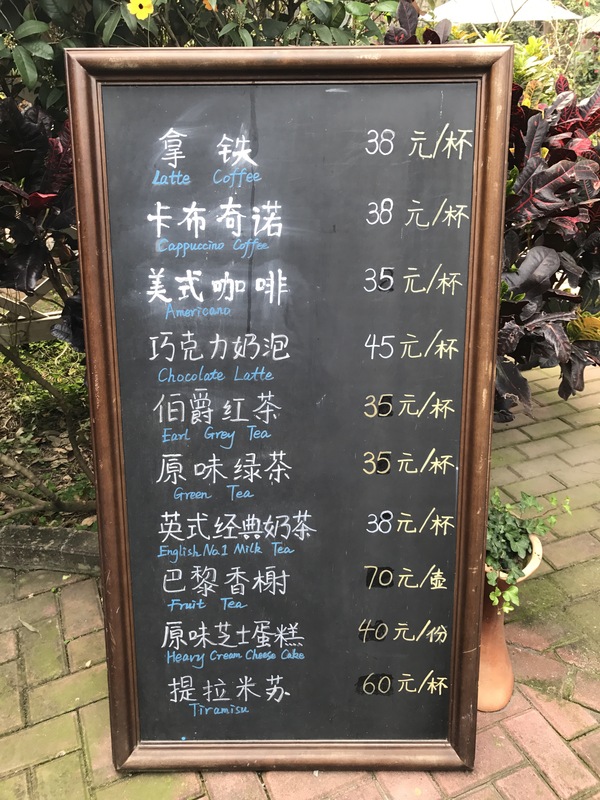 They’re good gulps, but these are full-on tourist prices. House special iced coffee, described mysteriously in English as “Signature Beverage,” is mixed with passion fruit. If this sounds like a bizarre combination, that’s because it is: sourness and bitterness fight over your palate, and passion-fruit seeds floating in the cloudy brown glass are jarring. If you use your imagination a bit, though, the drink ends up taking on the flavor of an exotic dark chocolate. Or at least it seems that way when you’re in the midst of whiling away an afternoon, without a care in the world, on one of the island’s most pleasant gardens. My 89-year-old grandmother’s name is Lu, and so is the mastermind behind this very local Minnan sweets and pastry shop, Lu Nai Nai (Lu Ama, in Minnan dialect). In our own family dialect, I call my Italian grandmother Nonnie, which is close enough to Nai Nai to complete the sweep. 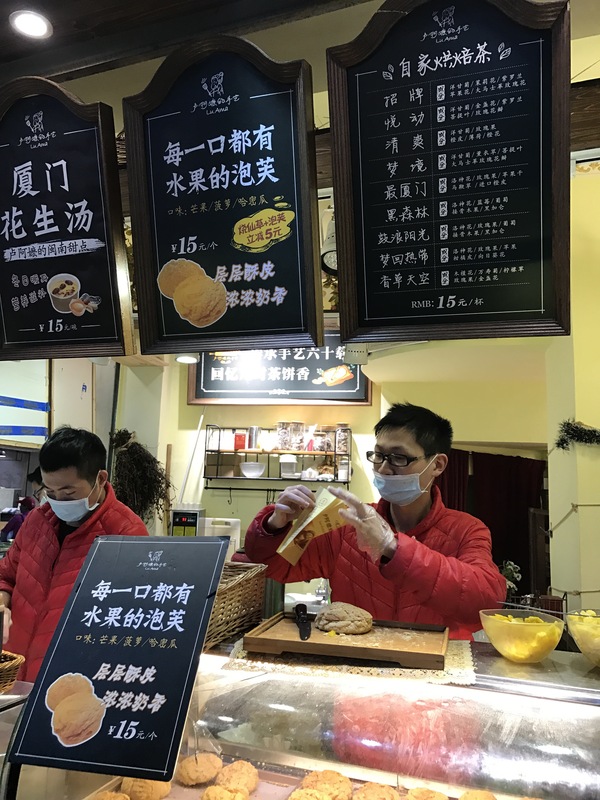 There are two Grandma Lu’s shops within a couple busy street-food blocks of each other, right in the thick of downtown’s main plazas. 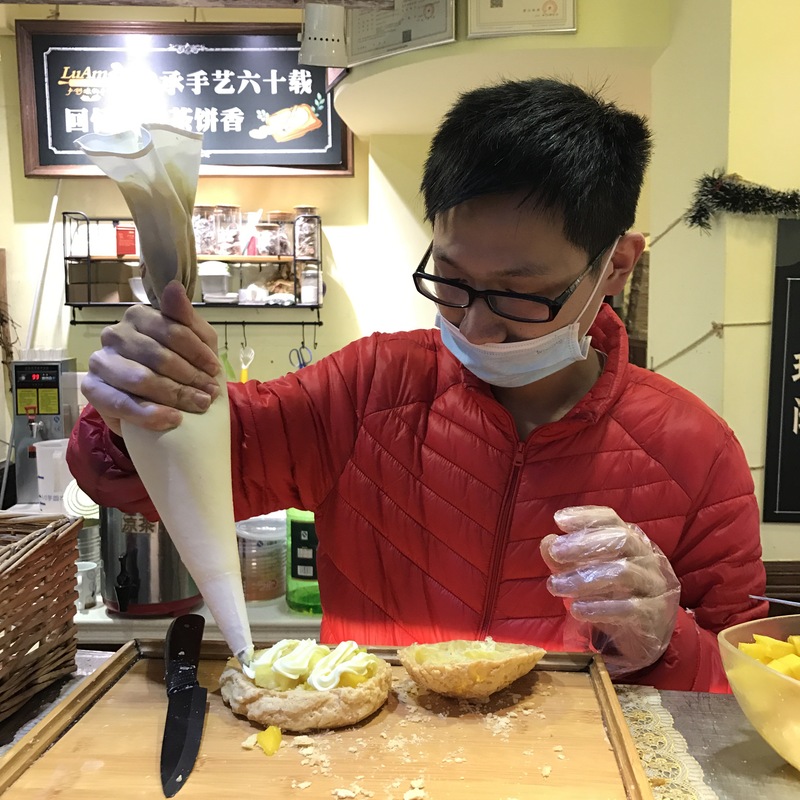 A couple of young guys run the very yellow glass pastry counters, from which you can take away Western-inflected popovers stuffed with whipped cream and chopped mango, pineapple, or a mix of the two. 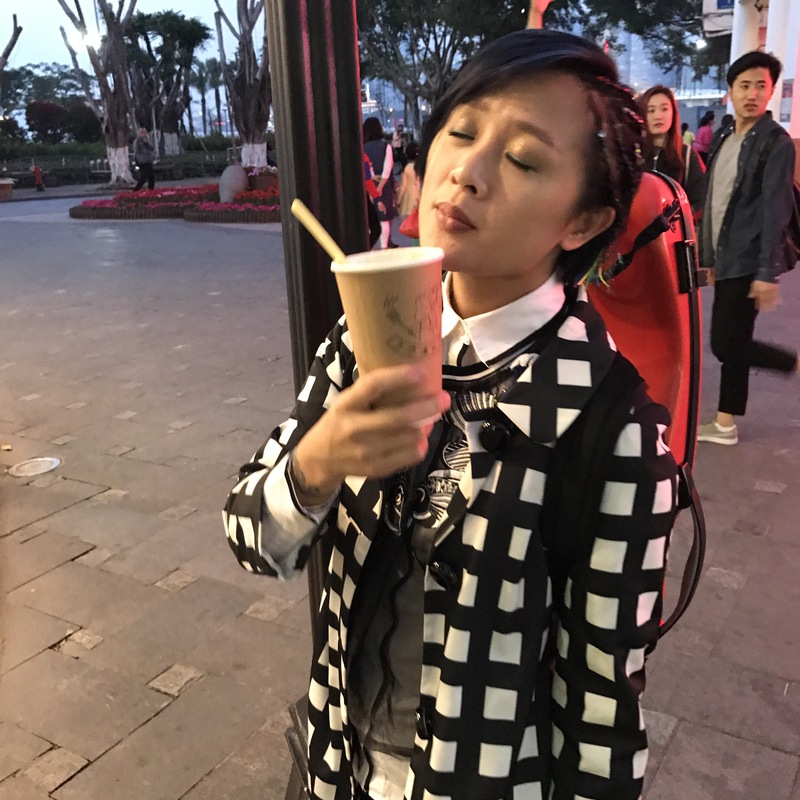 More interesting and local is Grandma Lu’s creative version of milk tea, xiao xian cao. This hearty brew is floating with all sorts of goodies, including sweet red beans the consistency of boston baked beans but with a charro-like savory aspect, satisfyingly chewy golden raisins, and dark medicinal grass jelly cubes made by boiling the grass in simple syrup and gelatin. The irregularly shaped cubes take on the wobble of panna cotta, and pair with the tea’s tannin better than the generic HK-style milk tea jellies do. Grandmothers, wherever they are, have always known just how to warm our bellies on chilly evenings.